For our Winter issue, photographer Pierre Debusschere and make-up artist Isamaya Ffrench – two Dazed 100 ranking creatives – joined forces with senior contributing fashion editor Katie Shillingford for off-kilter editorial Out of the Blue. The clothes featued are expertly deconstructed – jeans by America’s mass market inspired maverick Telfar are torn almost in two, a jacket by CSM grad Asai Andrew Ta a mass of frayed thread. 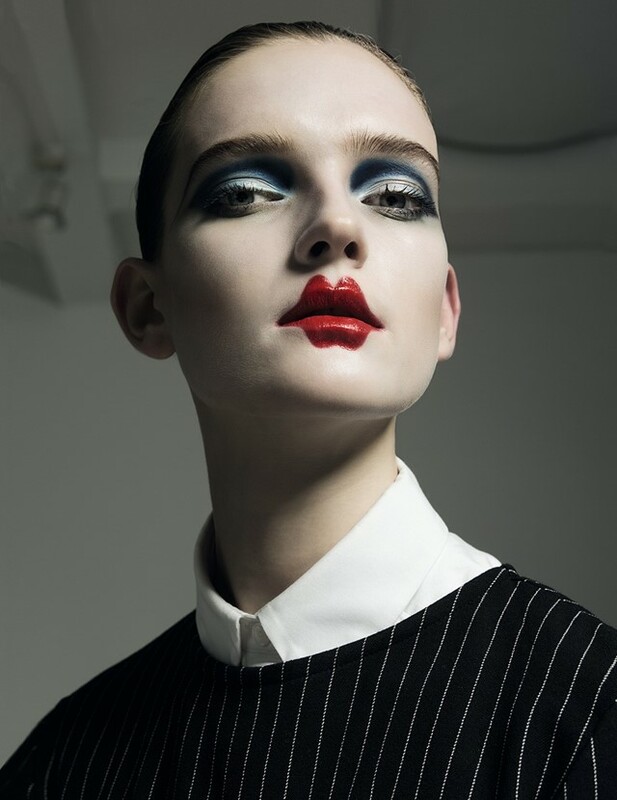 Ffrench’s signature surrealism makes its mark in the way a lipsticked pout slides off the mouth, while elsewhere a cupid’s bow is exaggerated with theatrical proportions, and model Adrienne Jüliger’s face is camoflagued under brushstrokes. As a photographer, Debusschere pushes the limits of fashion imagery, warping and subverting expectations – Out of the Blue is no exception.